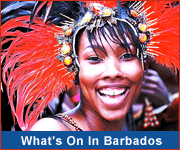 Barbados offers a wide range of activities to entertain and educate children while on vacation on the island. Your kids, of all ages, will be thrilled to experience our culture and to grow as they learn new skills and enjoy first time experiences. The Kiddie Kingdom at Barbados Entertainment Complex will keep your kids entertained and excited! Older kids and teens will enjoy Laser Tag and our Virtual Reality missions! Fulfill your child's fantasy of shooting the cannon and swinging on the rope onboard the pirate ship, Jolly Roger. The highlight of every child's trip to Barbados. 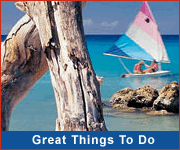 At Sugar Bay Barbados, the crèche, kids club and teen’s club keep children of all ages well entertained. These fun clubs are all complimentary, smiles guaranteed. Spacious suites, convenient kitchen facilities, an excellent Kids' Club programme with qualified Coordinator, babysitting services, watersports, swimming pools and a well-equipped games room all make Bougainvillea Barbados the perfect choice for families. At Sugar Bay Barbados all-inclusive resort, the crèche, kids club and teen’s club keep children of all ages well entertained. These fun clubs are all complimentary, smiles guaranteed. The Atlantis Adventure is an unforgettable undersea expedition! Discover the natural phenomenon of Barbados' undersea world when you board the Atlantis. See the mystery and charm of this fascinating world unfold to reveal a kaleidoscope of exotic fish and marine life. Miniature Golf - Enjoy the scaled down version of the game at one of the fun mini golf courses around the island. Wildlife Reserve - Visitors are offered a unique opportunity to stroll freely through the Reserve, which is primarily a monkey sanctuary. There are few cages and the animals can be observed as they eat, play and interact with the other animals. Other animals that can be found at the Reserve are ducks, turtles, tortoises, birds, peacocks, otters, racoons, agouti, and deer. Harrisons Cave - Near the geographical centre of Barbados lies a natural phenomenon affording an experience unique in the tropical world; a trip aboard a special tram and trailer through the exciting subterranean stream passages of Harrisons Cave. Your kids will love feeding the fish and playing on the inviting lawn at the Graeme Hall Nature Sanctuary. Teens can experience the thrill of Karting at the Bushy Park race track! The Barbados Museum has a special Children's Gallery, giving the young ones an opportunity to learn about the childhood pastimes and life of Bajan children.